Wool Applique is a primitive applique method using simple stitches and Felted Wool Pieces. 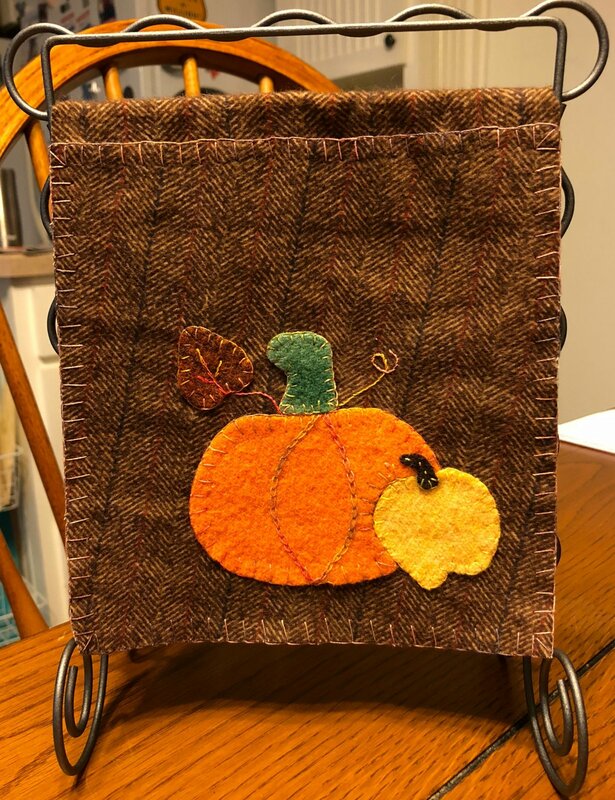 In this Beginning Wool Applique class you will learn the simple methods used to create beautiful Wool Applique Projects. We will begin with a review of the pattern, tracing, and cutting your wool pattern pieces. We will review 3 methods of basting the applique pieces to the background. There are only three stitches used on this small project you will be able to master them all. This project was designed to learn the basics of wool applique, there will be a few technique tips I learned along the way that will help you be successful with your future Wool Applique projects.